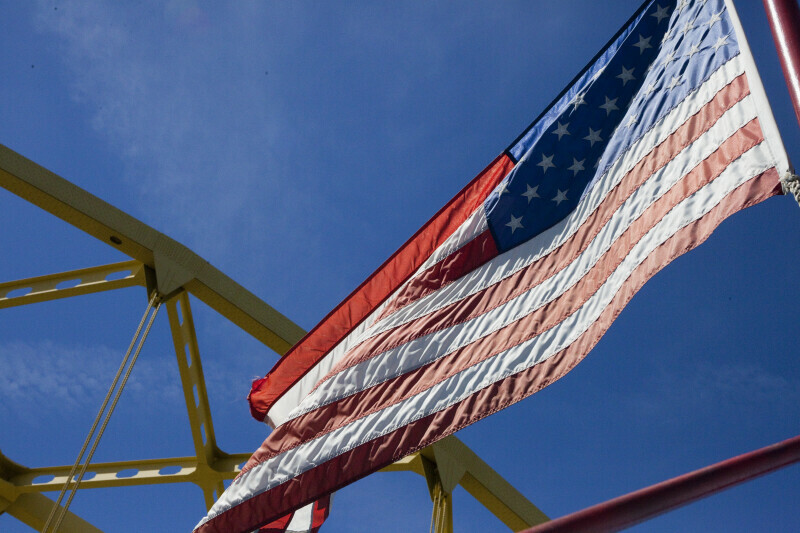 An American flag flying atop the Fort Duquesne Bridge in Pittsburgh, Pennsylvania. Pittsburgh is known as "The City of Bridges" and "The Steel City" for its many bridges and former steel manufacturing base. WARNING: You are about to download a 46.2 MB TIFF!